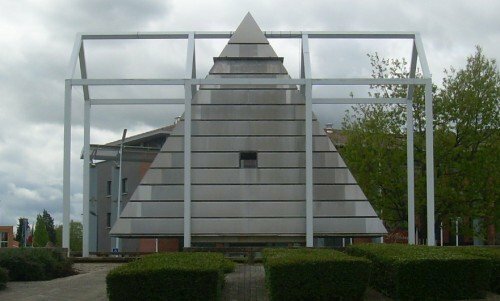 Located in a suburb of Toulouse, the “Place de la Révolution” is probably one of the most blatant displays of Illuminati designs in existence: a huge pyramid hovering atop a map of the world. The symbolic meaning of this structure reveals a rather grim and elitist ideology and seems to confirm the conspiracy theorist’s claims: the world is lead by a secret cabal named the Illuminati. The Place de Revolution is situated on a roundabout in the rather quiet commune of Blagnac in Toulouse, and a constant flow of cars drive around the monument every day. As is the case in diverse parts of the world, most locals find the monument that adorns their town “nice” and “decorative” without having the slightest idea of its deep occult meaning. To those who have “eyes to see” however, the Place de la Révolution clearly and unequivocally reveals the hidden force which shaped the past and is relentlessly working to mold the future. In this apparently simple structure are embedded the goals, the aspirations, the philosophy and the beliefs of the hidden elite who guide the clueless masses towards a New World Order. The Place de la Révolution was built in 1989 to commemorate the bicentennial anniversary of the French Revolution. Modern Historians agree that Freemasonry played a critical role in the unfolding of the revolution. “If one desires to point to a major world event proven to have been inspired by secret society machinations, one need look no further than the French Revolution, which devastated that nation between 1787 and 1799. Revolutionary leaders, in seeking to overthrow the decadent monarchy of King Louis XVI, launched the first national revolution of modern times. Far from hiding this fact, French Masons take great pride in this historical accomplishment. Many Masonic monuments were erected in France in 1989 to celebrate Freemasonry’s role in the French revolution. The one in Blagnac is however particularly revealing. It is modern, slightly futuristic even and focuses on “what is left to do” rather than “what has been done”. It describes a world united under the rule of a giant floating pyramid, representing secret societies inside the realm of the Great Architect. The pyramid is composed of a total of thirteen layers, the top two layers of which are separated by a metallic divider. If you have studied any of the works of art or monuments that were inspired by Masonic teachings, you will already know that the number thirteen is constantly represented in various ways. The bottom layers of the pyramid represent the lower degrees of Masonry while the top two, which are separated by the divider, represent the Illuminati – the “hidden degrees”, the capstone of the pyramid. Every single time I talk about Freemasonry on this website, I always refer to those hidden degrees. This is where the “Truth” is revealed and where the decisions are taken. The bottom layers are simply a school of hermeticism and are a means to recruit “those who are worthy”. If you are a Mason and you are not at the top of the hierarchy, represented by the capstone of the pyramid, I am not referring to you and I never did (just had to make this point clear). It is interesting to note that the pyramid on the back of the American dollar bill also contains thirteen layers. This pyramid is literally hovering above a map of the world in mosaic. The symbolism here could not be more blatant. The pyramid, this symbolic structure representing secret societies operating on every continent, floats above the whole world, dominating it (some might say overshadowing it) and owning it. Water in this structure also bears an important symbolic and spiritual meaning. Emanating from the top of the pyramid, water slowly trickles down each layer to finally end up on the map of the world. Water, a representation of divine wisdom, starts by gracing the top of the pyramid, which represents the “illuminated”, the elite of the world. From the capstone, water descends from one layer to another, “feeding” each Masonic degree with its share of wisdom. The symbolic end result is that the entire world is filled with (or drowning in, depending on the point of view) this knowledge. When viewed in kabbalistic terms, water flowing through thirteen layers or “channels” is a reference to Mem, the Fountain of Wisdom. In front of the pyramid are two bronze tablets, which are very reminiscent of Moses’ 10 Commandments in shape, but engraved with astronomical and planetary glyphs instead of words. The rectangle slab of bronze uniting the two tablets bears the biggest accomplishment of modern illuminism: the Declaration of Human Rights. 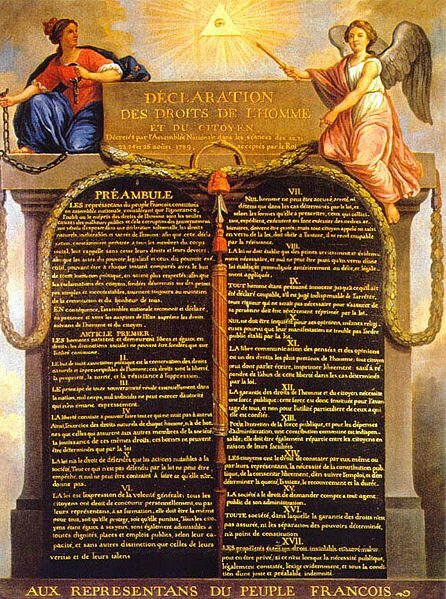 The Declaration contains many Masonic, Illuminist and alchemical symbols such as (starting from the top): the Eye of the Great Architect in glory, the Orobouros (snake eating its tail), the Phrygian cap (the red hat under the Ouroboros) and the fasces. Let’s not forget the two Masonic pillars on each side sustaining everything. 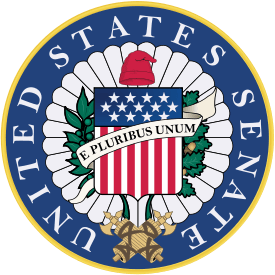 The most significant symbol is the Eye within the triangle, also found on the reverse of the Great Seal of the United States. It is an unmistakable symbol of the Mysteries of secret societies and became the most universally recognized symbol of Illuminism in pop culture. The entire structure is meant to resemble this Eye within a triangle. A hole at the center of the pyramid stands for the Eye of the Great Architect. Notice the paths surrounding the pyramids are meant to resemble rays of glory. HAPPINESS IS IN THE ANGLE WHERE THE WISE ARE GATHERED. This phrase is a quote from Jean-Jacques Lequeu, a French architect from the revolutionary era who mixed Masonic principles with visionary designs. The “angle” mentioned in Lequeu’s enigmatic quote is a direct reference to Freemasonry, where architecture and geometry are at the basis their spiritual allegories. The Masonic symbols of the compass and the square and considering God to be “the Great Architect” are proof enough of this fact. In the context of the pyramid however, the quote takes on a specific meaning. 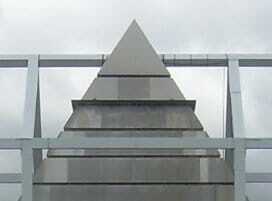 The “angle where the wise are gathered” most probably alludes to the divider placed towards the top of the pyramid, at the level of its capstone. As mentioned previously, the top of the pyramid represents the Illuminati, the hidden order which is only accessible to a select few. So the quote says: “True happiness is at the top of the pyramid, the Illuminati, where the wisest unite“. This is most probably the name of the actual structure, which contains obvious Masonic terminology and confirms the above interpretation of its meaning. The metal frame of a house surrounds the pyramidal structure. This represents the metaphorical creation of the “Great Architect”, a great temple, inside which divine wisdom flows freely. On the other hand, one can interpret this thing as a kind of prison. Notice how the tip of the pyramid reaches above the house. Are the Illuminated the only ones able to escape the prison of the material world? In the plaza surrounding the pyramid there are numerous columns, including this one, which bears a stylized Phrygian cap. This red hat, with its tip pointing forward, became the symbol of revolution in France and the USA. Once again, the origins and the significance of this hat can be found in occult mysteries. “As a Phrygian Cap, or Symbolizing Cap, it is always sanguine in its colour. It then stands as the ‘Cap of Liberty’, a revolutionary form; also, in another way, it is even a civic or incorporated badge. It is always masculine in its meaning. It marks the ‘needle’ of the obelisk, the crown or tip of the phallus, whether ‘human’ or representative. It has its origin in the rite of circumcision–unaccountable as are both the symbol and the rite. The Place de la Révolution of Blagnac is one of those monuments which simply does not lie. It celebrates simply, and without any political correctness, the nature of the works of secret societies. The “Temple of Supreme Wisdom” is permeated with symbolism and messages directly alluding to Freemasonry and the Illuminati and hides in plain sight the true philosophy of our world leaders. The French Revolution was mainly carried out by Freemasonry and resulted in a great political success – the creation of the French Republic – the ideals of which radiated across the world. Is it realistic to think that the work of secret societies stopped there? Masonic scholars believe that those events were only the beginning, the first necessary step towards an “enlightened world”. The fact is that History has been nothing more than a series of conspiracies. The French revolution was a conspiracy theory until it became a historical fact. In the same way, the New World Order is now a conspiracy waiting to become a historical fact. There is however no need to keep this conspiracy hidden, the masses are too ignorant to understand what is happening. They drive around monuments celebrating the imminent arrival of an Illuminati-lead New World Order but still deny its existence, automatically referring to those who claim it does exist as in need of “tin foil hats”. Maybe they’re right. Maybe this monument is a big tin foil hat hovering above the world, reminding us daily how stupid we are.